The sports world celebrated the return of NFL football on Sunday. The Atlanta Falcons pulled off one of the biggest upsets of the week, knocking off what many consider a Super Bowl favorite New Orleans Saints. But it took veteran QB Matt Ryan's 448 yards on a 31/44 through overtime to beat their division rival 37-34, out-dueling Drew Brees. Throw in three TDs and no INTs and we have a player of the week. 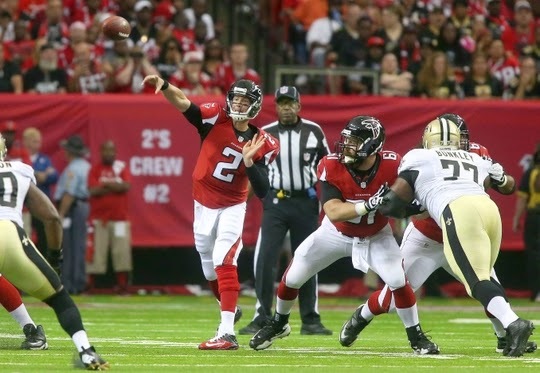 From 13-3 in 2012 and NFC runners up to 4-12 in 2013, not many experts had the Falcons as a contender in the NFC South. Those experts better look at game film.